I thought it about time i shared thoughts on my ‘new’ Atlas Grey 997.1 C4S, mentioned the mods ive already done, and started a bit of a ‘build thread’ to put updates in over my ownership. Perhaps this is of some interest to fellow fans! It probably goes without saying on this forum but a 911 really is 2x times the specialness of many other cars. 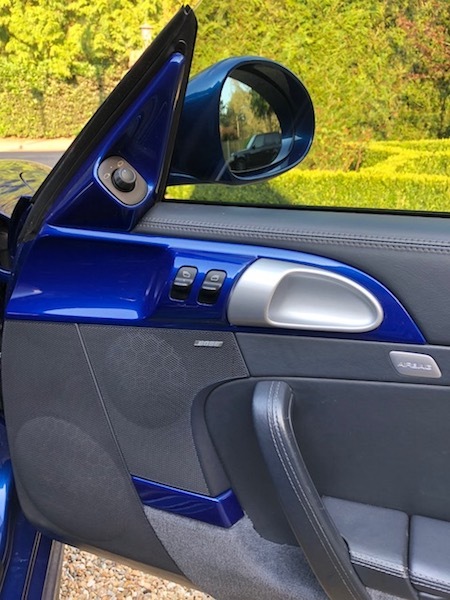 The beauty of the exterior design, but moreso the low slung seating position, directness of controls, and in this case the mechanical feel of the thing far far exceed the m3s I owned. Atlas grey is a really special colour too - i gave it a correction / polish / wax and it responded very well! Complex, interesting, and seems to look ok when a bit grubby too, hooray! Ahh, nice to be back in a manual. I moved from a manual m3 to a dct comp pack primarily because the dct has shorter ratios than the manual (and 2nd was way too long in the manual) - but i was also keen to experience a decent dual clutch car following a good Palmer day in one some years back. The DCT felt much, much faster than the manual car, and surprisingly, i didnt crave a manual. 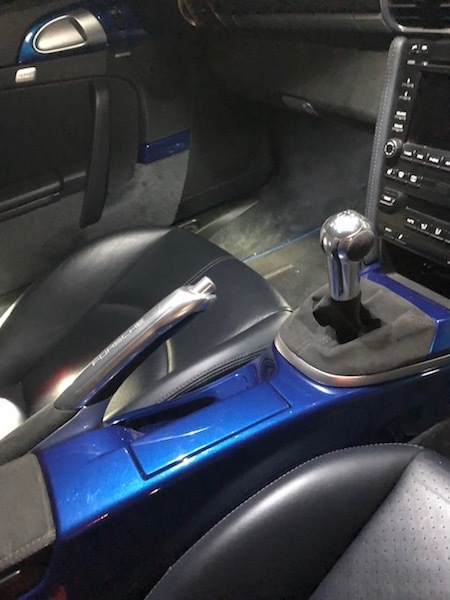 However, i knew that the next car would be a 911, and it had to be a manual, so (like the 987s and 996tt), i had the 997 gt3 oem short shift installed before i picked it up and wow - a truly superb shift! for me it completes the trio of great steering feel, brake feel, and gear change. Mine has the full leather and alcantara and it is a huge improvement on the 996 and 987 i had! The PCM is, of course, garbage, but i did instal the “Translt Blu iSimple’ bluetooth / FM input smartphone kit into the PCM so my iPhone connects. I am absolutely staggered at how good this is, and how cheap it was. A superb product, and one that i would have put on the 987 and 996 had i of know about it! Highly recommended! A pipeline mod is certainly to get the wheel, shift, and brake trimmed in alcantara by Royal steering wheels. They did the wheel on the M3 and it was like for like oem ‘performance; quality and 1/4 of the price. The 996tt was our family car with one, then two little ones. Im lucky that the mrs loves owning and driving nice cars! We worked around the space fine, but the road (and exhaust…!) noise was too much in the turbo. The 997 is far more refined. Still louder than the m3, but (at least with stock exhaust) its all good. I have a pair of recaro young sports in the back for my 3 and 5 year olds and they absolutely love it. We use Amazon packing ‘Cubes’ (v useful!) 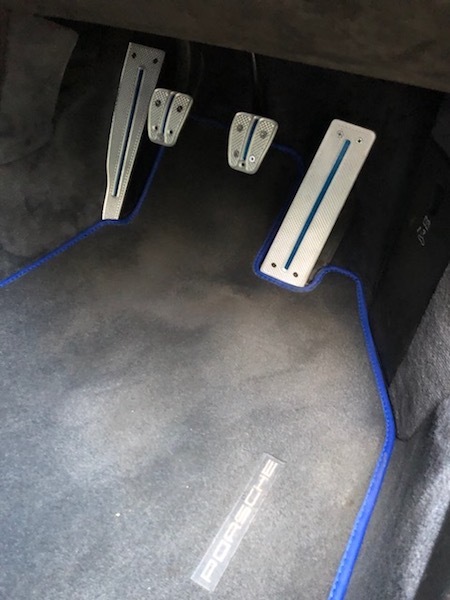 to make extremely effective use of parcel shelf , footwells, and frunk and its all good! im aware of all the potential issues having owned the gen 1 987s, and also generally being a big forum reader. I had originally thought to get the gen 2 - to minimise risk - even to get good mpg! and better pcm etc. in my budget, i could only afford a base and basic 997.2 example. I drove some of these, and nice as they were, for me they lacked a little of the ‘buzz’ and feel of the earlier cars. it was marginal, but as i dove a couple more, i then had a go it a gen 1 s, and i just preffered the slightly more raw feel and sound of it. I then looked at the spec, condition and cost of my car and compared it to the equivalent gen 2 car. The difference (i concluded, for my own case, please be gentle guys!!!) was that i could get a top spec gen 1 4s that was 2 years older, but £10k cheaper than the equivalent gen 2. So i thought to myself that if the worst does happen (a 1 in 10/20/30/50/100 risk depending on attitude) I could accept the loss based on the lower purchase price. Goes without saying that GT One did a full bore check and stand by the car, and i trust those guys. Anyway, the point I wanted to make was that I did fear that despite my man-maths i may have a niggle or regret after i bought the car. But no, fellow fans, I do not. The car is so special, so good to drive, and such a keeper that there are no worries whatsoever. Things i plan to do! - let me know of any suggestions! Nice read mate , and having had a gen1 and gen2 I dont disagree there are many good points to the gen1 as you mentioned and I found the gen2 a bit more refined than the gen1 which is why I have to be more selective about mods as some really just dont suit the more refined gen2 . the 997.1 is somewhere between the rawness of the 996 and the refindness of the 997.2 which makes them a very nice car. Thanks Phil - ive read a lot of your posts on here and they've been a great resource and source of inspiration! Really interesting comment about the bumper with no wing - the car drives and feel perfect and i dont want to compromise that! such a shame the rear wings are crazy expensive! Great point about lowering a bit - perhaps that could improve the front end looks (i agree the side profile looks awesome a bit lower! ), and be a plan B vs aero bumper. Do people usually go 10, 20mm? dont suppose you know how much the springs and fitting are do you? i could be tempted by some spacers too - any thoughts on that idea? Yep, a really good read and nice model choice ( ). I'm about to take delivery of the Top Gear switchable system which I've been wanting to fit for a while now. That coupled with the CAI kit should make for an awesome sound I reckon. [quote="Lordjimimac"]Thanks Phil - ive read a lot of your posts on here and they've been a great resource and source of inspiration! lowering springs are a bit of a personal thing as they all lower slightly different hight, a bit like exhaust note. the three I would consider are Eilbach. H&R , Techart . techert are the most expensive but lower the least 15mm on PASM the other two are 20/25mm I had techart on the gen1 but H&R on the gen2 both give virtually stock ride the springs are approx £350 but thats approx as they all differ in price , fitting est 2/3 hrs labour .clearly better if you can do it yourself or are ever in sunny Bournemouth then the option is drink coffee with me while our local porsche tech fits them as he's far cheaper than most. spacers the accepted norm if you dont want to spend ages trying different things is 7mm front 15mm rear ensure they are hubcentric Porscheshop and a few others do a 7mm with a hub spigot which IMO is better than just a 7mm shim as your close to the limit at 7mm . the rear wing can be aftermarket and there are some very good quality aero wings around. maybe ask on here whos fitted what as I know recently a member has fitted an aftermarket aero wing and was very happy with the quaility the aero wing is fixed so its easier to make aftermarket than the gt3 wing that looks the same but has a 3 position tilt to the top blade .also on the GT3 wing the fan and air intake are located differently to the aero wing. 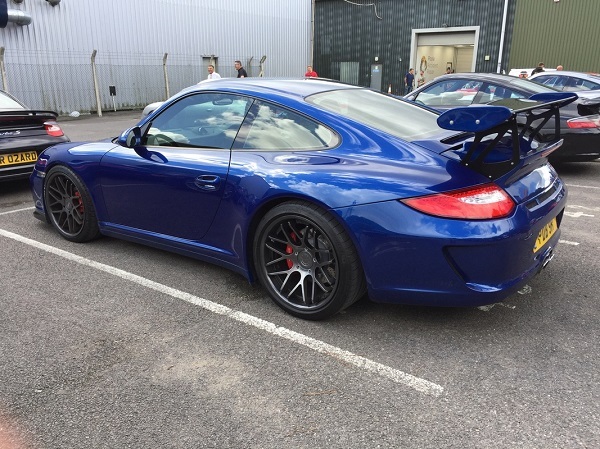 the other thing to consider to change the side profile as you have a widebody would be to change the side skirts/sill to the gt3rs ones, about £800 from the opc . you can do this on a wide body as the lower sill is a seperate piece which its not on the narrow body cars, if you consider that option for comparison the top pic has GT3RS side skirts the lower pic is without them. these are only suggestions for you to consider mate. Have a look at a thread I started. Have done a few of the things your thinking about. Could be useful. Did you already received the Sprint booster I have sent? edit just read you have installed so I guess yes. I'm more focused on drivability and improvements then aerokits etc. so mods I would recommend (and have done). - RSS semi solid engine mounts. Initial thought ok .. but now I love them! Massive change in cornering! - Got rid of the aging PCM and got the Zenec Z E7015S for closest OEM look. I enjoyed reading the original post (and comments as well), thanks for sharing your experience and views. i actually had a BMC fitted with the intake - i was amazed at how much difference it made on the m3 so tried on the c4s and the sound and response gains are awesome! Hi Rob, yep it arrived fast and was mercifully easy to instal ( a great tip from a bloke on a cayman forum for how to get the clip off!) 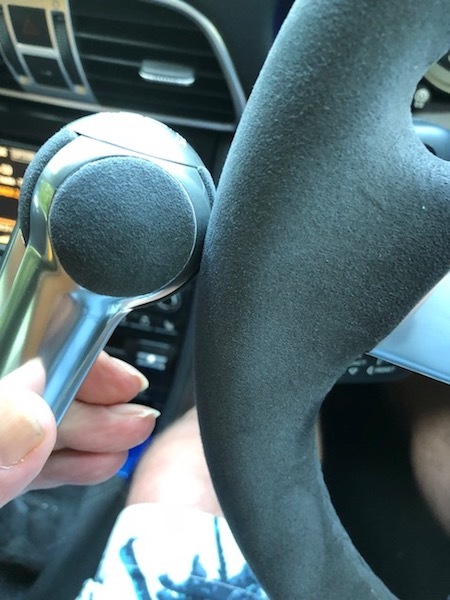 It makes the throttle response perfect IMO - brill! Would these ones do it for my C4S? This combo seems a fair bit more cost effective vs other options? If anyone is selling any springs or spacers, let me know! I'm always happy to see a well thought through post and project thread. Mods are very personal but I tend to focus on the performance and feel rather than the cosmetics. 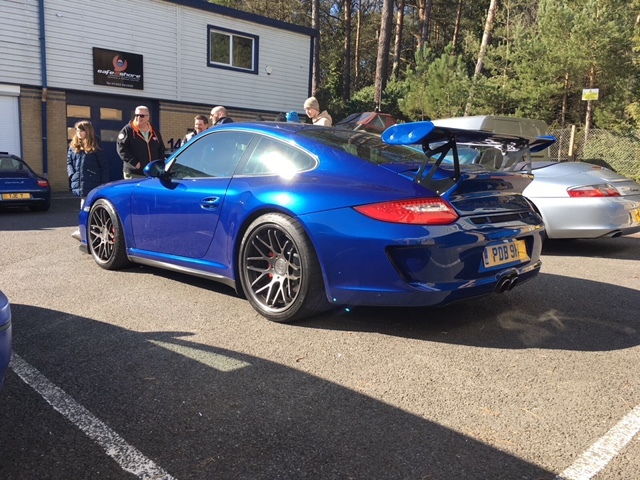 ExAn aero kit, aero bumper and big wing are swish but expensive for a Carrera (isn't it ironic that a GT3 Touring costs more than a bewinged GT3? ), and at the speeds I drive, I don't need downforce. As to feel however, as long as you have decent seats and a decent wheel, you'll always be happy. This can only be enhanced by mods like a SSK and engine mounts. But what I would suggest, even if you can't see it, is the TPC Racing DSC module which really extracts the best from PASM. thanks buddy - the PASM mods keep coming up and im going to properly investigate. I had two v8 m3s - both with electronic dampers. The first one was stock with three settings,the latter was a competition pack that had the same electric shocks, but 'dynamic' settings. I really didnt think it would make a difference but it did. 'Sport' without the comp pack software was too choppy, but with the new software offered subtle straight lines and perfectly taught cornering. re your nuts If your wife cant advise then I would suggest buying 6mm and 18mm longer nuts or 5mm and 15mm longer if they dont sell them hope that helps , others may be able to give a bit more insight as to whether 18s on a WB will be ok.
Only reason for proposing those was low price, and also the thought that if C4S is 20mm wider per side than standard 18mm would be ok. I will most definitely go with your experienced view on it though, and big thanks once again for your help - awesome!